Happy 4th of July! In the US, we’re taking a day to celebrate our independence, and for most of us, that means backyard BBQ’s and fireworks at sundown. My summer cold finally dissipated a bit, which means I might actually be able to get out and about later to catch a fireworks display. In the meantime, though, I have a pretty cool fireworks optical illusion for you guys! Ah ha! I fooled you, didn’t I? 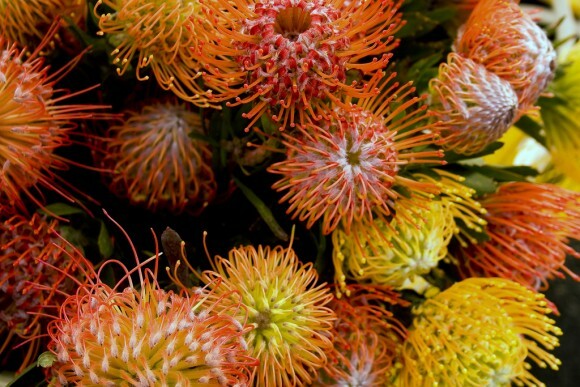 Chances are, though, you probably did think those flowers were actually a fireworks optical illusion at first. Partly because I put the thought in your head beforehand, and partly because they really do look like fireworks. Well, at least a little. I think so, anyway. Have a very happy, fun, and safe 4th of July, from out family to yours this year! May your beer stay cold, your burger be a little rare, and may you always remember and appreciate the sacrifices we’ve made for our freedom! If you liked this fireworks optical illusion for the 4th, you can also check out a more patriotic American flag illusion! Prev Red, White, and Blue Moving Patriotic Illusion!